Help your worms beat the heat. We have had a high number of 100+ degree days this Summer in Texas. When temperatures get into the 90s worms get stressed. One way to avoid overheating and losing worms is to keep them indoors. Avoid overfeeding and smell will not be an issue. Overfeeding can also attract fruit flies. Eliminating fruit flies is as easy as covering your bin with cheese cloth, or other breathable fabric. Find a full shade location if your worms are outside. Add ample bedding and keep moist. 80%- 90% moisture is recommended, and in hotter temps lean towards more moisture to keep worms cool. Keep lids cracked to increase airflow. A closed bin can bake even in the shade with high temperatures. Garage kept worms still need to be monitored in the heat. 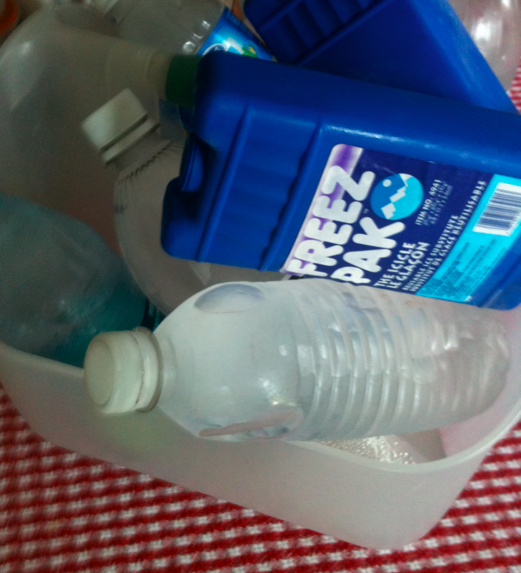 Another trick I’ve employed is freezing plastic bottles full of water and adding them to bins on hot afternoons. My worms have been appreciative in these “dog days” of summer.